This album appears to have come out of nowhere, in fact I wasn't even aware that legendary UK producer/rapper Lewis Parker was working with MF Doom cohort John Robinson. To be honest until 2008's album with MF Doom I had never even heard of John Robinson however when I heard 'Who is this man ?' I began to instantly dig his style and choice of beats. 'Who is this man ?' 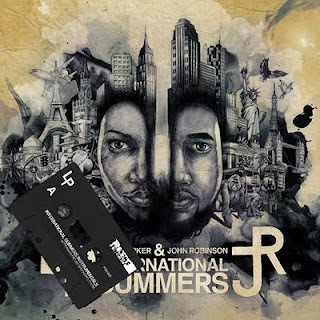 was entirely produced by Doom and featured well written, interesting and mature lyrics from Joh Robinson. 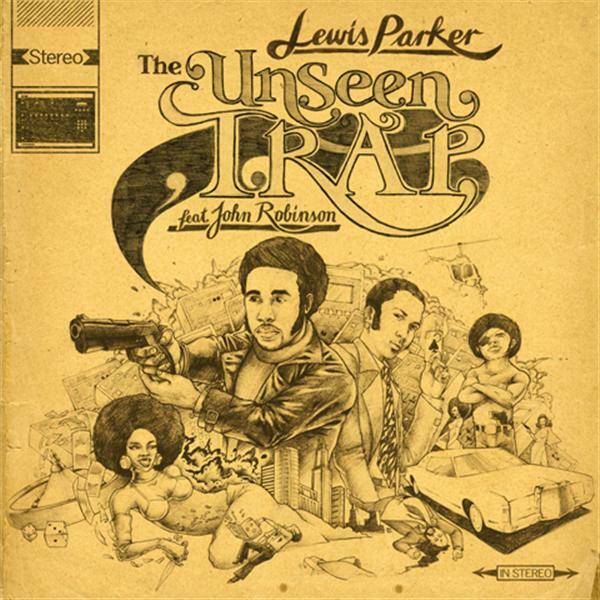 When I saw that Lewis Parker, one of my favourite UK hip hop heads and the man behind the fantastic Masquerades & Silhouettes (1998), was handling the beats on this new JR project I knew I had to listen to it. Apparently these two worked on a limited edition 10" earlier this year called 'The Unseen Trap' which I haven't heard but will no doubt track down soon. This LP is 13 tracks long and features production entirely by Lewis Parker and John Robinson handling the emcee duties with guests from mainly the UK appearing on 5 of the tracks. Lewis Parker handling the production skill fully using crisp drums, nice basslines and some truly beautiful jazz samples. He knows exactly when to leave that horns loop to play out and when to cut it short with some sick scratches. John Robinson's lyrics are clear and concise making them easy to understand and filled with good stories and slick metaphors. As mentioned before we have a number of guests on this album and they represent well adding something of a UK flavour to the rhymes. The whole album flows well with each track fitting into the album nicely. Another nice side to the album is some of the cutting and scratching on the album especially on the transatlantic posse cut Godz Illa. The album has too many stand out tracks to single out any particular, they're all dope. This album deserves to be bought by any hip hop head looking for string beats and dope lyrics. If this isn't a contender for album of the year its certainly in my top five. You need to buy this, check the album sample below and then order it.